7. 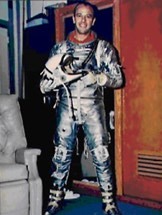 "Alan B. Shepard, Jr." Johnson Space Center Biography. http://www.jsc.nasa.gov/Bios/htmlbios/shepard-alan.html (July 27, 1998), p. 1. Hereafter referred to as JSC Biography.